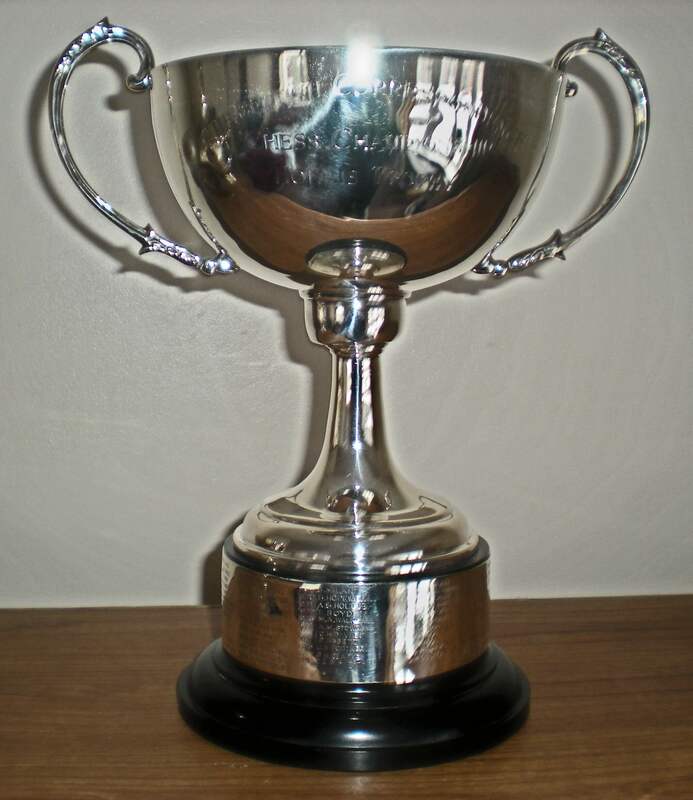 Made in Birmingham in 1953, this solid silver trophy was purchased by the BCCA in honour of Mrs BG Hollis. Mrs. Hollis was a remarkable lady who was General Secretary of the BCCA for several years before the outbreak of WWII. She was born and bred in Guernsey (her brother was Wilfred Gallienne who became British Ambassador to Cuba) and regularly made the trips to the UK mainland to attend BCCA meetings. She was forced to give up BCCA chess in 1940 for the unfortunate reason that the Channel Islands were occupied by the Germans! She endured the hardship of occupation for five years and returned to the BCCA fold after the war but did not hold office again. In 1953, she donated £50 to the BCCA (worth over £1000 today) “as a mark of appreciation for the many hours of pleasure the Association has afforded me.” BCCA then had to decide what to do with the money: after consultation with the British Chess Federation, it was decided to purchase a trophy to be presented annually to the winner of the British Correspondence Chess Championship (BCCC) and that the trophy would be known as the Hollis Trophy. The trophy was presented annually thereafter but, in the 1960’s, there came an unanticipated problem. The BCCA had run the British Championship on behalf of the British Chess Federation since 1937 but this responsibility passed to the fledgling BPCF (British Postal Chess Federation) in the 1960’s. 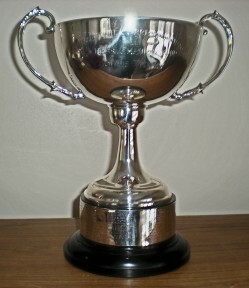 But the Trophy remained property of the BCCA so, should the Trophy be handed out to non-BCCA winners of the BCCC? This problem was never satisfactorily dealt with and the trophy fell into disuse. 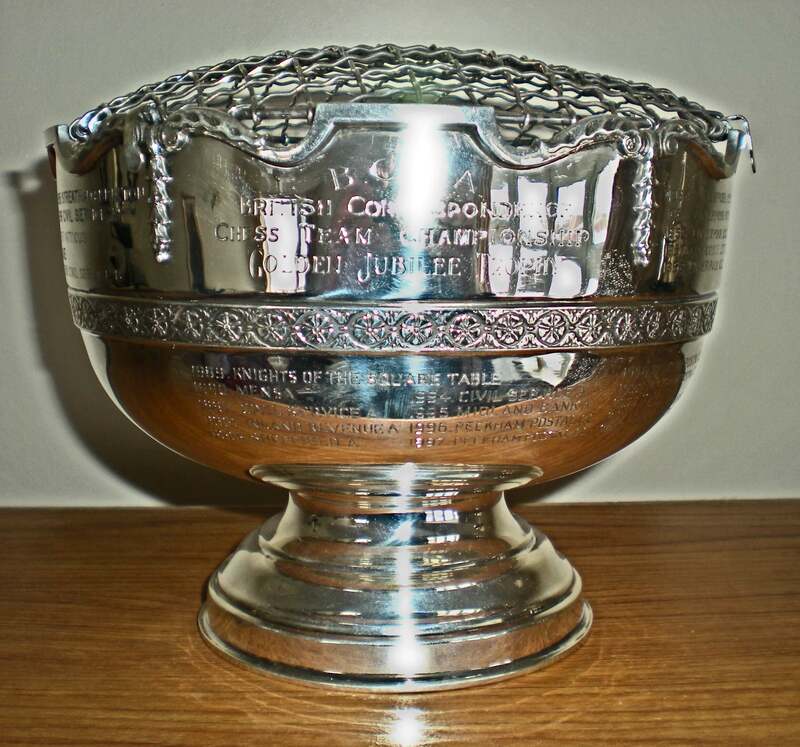 In the 1990’s, the Trophy was offered for sale to the BPCF (now the BFCC) but they declined. 2018: The Trophy is now in poor condition & has broken in two. The Executive Committee have decided to sell it as soon as possible. Also made of solid silver and also made in Birmingham 1953. However, it was not purchased by the BCCA until 1956 which was the “Golden Jubilee” of the BCCA celebrating its 50th birthday. 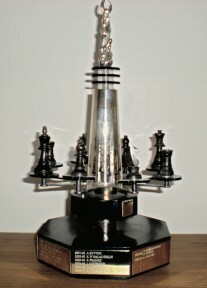 The trophy was intended to be presented annually to the winners of the Championship Division of the British Correspondence Chess League (BCCL). This eight-man team tournament was inaugurated in 1952 and quickly became extremely popular. 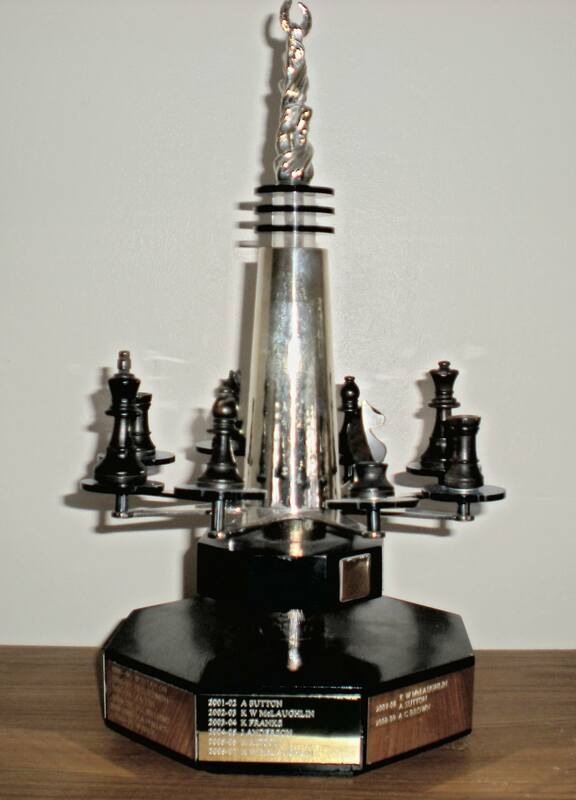 So much so that the BCF, in 1954, officially recognized the Championship Division of the BCCL of the “British Correspondence Chess Team Championship” and the trophy was engraved as such. However, in the 1960’s, the fledgling BPCF once again took a hand in matters. In direct opposition to the BCCL was the PCL (Postal Chess League) and the BPCF wanted to bring the best teams together from each League to form a new British Team Championship. This duly happened and the BCCTC (British Correspondence Chess Team Championship) was formed and is still going today. This left the Rosebowl in the rather unfortunate position in that, although it is engraved “British Correspondence Chess Team Championship”, it no longer means that! It continued to be presented annually to the winners of the Championship division of the BCCL but it seems that some winners (or Team Captains) did not treat the trophy with the respect it deserved and it became damaged and dirty. Now cleaned and fully restored it is once again presented to the winning team captain if a BCCA member. Once described by John Allain as “a cross between a rocket ship and a merry-go-round” this unusual trophy is silver plate only so has no real intrinsic value. Bill Charters died in November 1970 having served for BCCA for over 40 years in a variety of different roles. In 1972, the BCCA decided to set up its own internal Championship now that the BCCC was under the control of the BPCF and open to non-BCCA members. 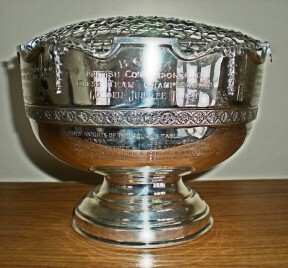 What we now know as the William Mason Championship, Candidates and Reserves therefore came into being in 1972 and the Charters Trophy was purchased to be presented annually to the BCCA Individual Champion. The first winner was Donald Rodford who is still a BCCA member today. Because of its unusual design, the trophy is easily damaged and the chess pieces on the “merry-go-round” are knocked off quite easily. if one is clumsy or careless. At some point in time, a special carrying case was constructed to try and protect the trophy. Possibly because of the fragile nature of the trophy it has not been presented in recent years and, once again, it became dirty and misshapen in places. It will now been kept by the BCCA President & no longer presented.